Here in the first column you can see the availability group name (MyHAGroup), the listener’s IP address (192.168.81.10) and the listener name (SQLHA1). 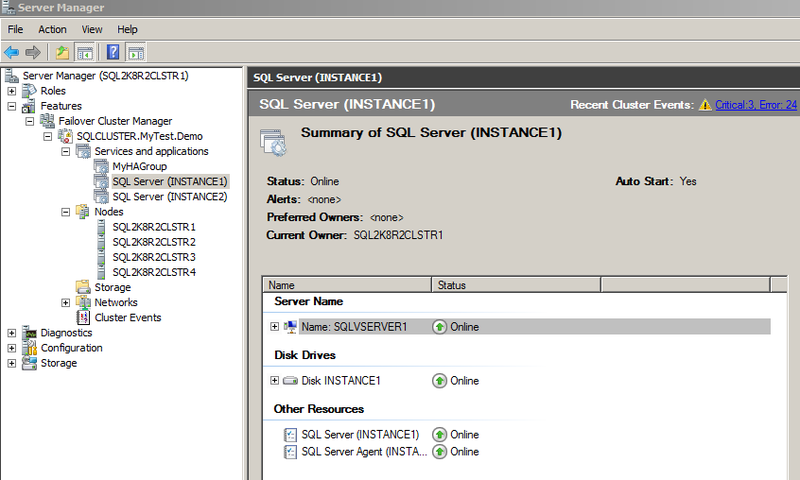 This matches all the details you would see within the SQL Management Studio under the Availability Group configuration. These quick one liners may be useful if you’re dealing with multiple SQL instances consolidated onto the same Windows cluster. You are currently browsing the archives for the Windows clustering category.